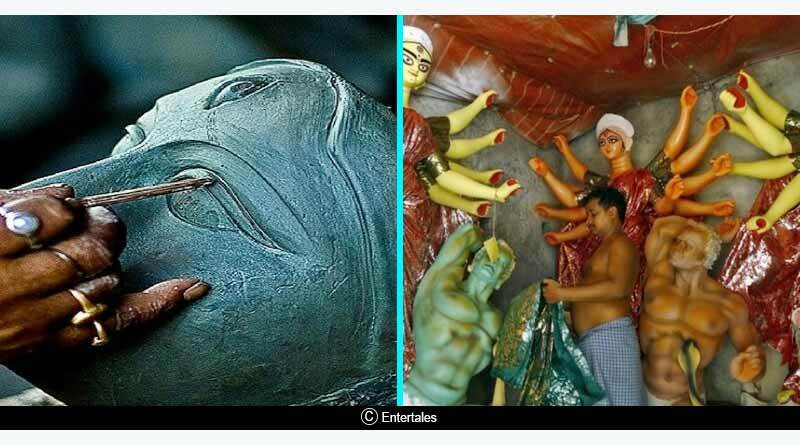 Do you know about the mud used to create Durga idol for Durga puja? Let’s find out. 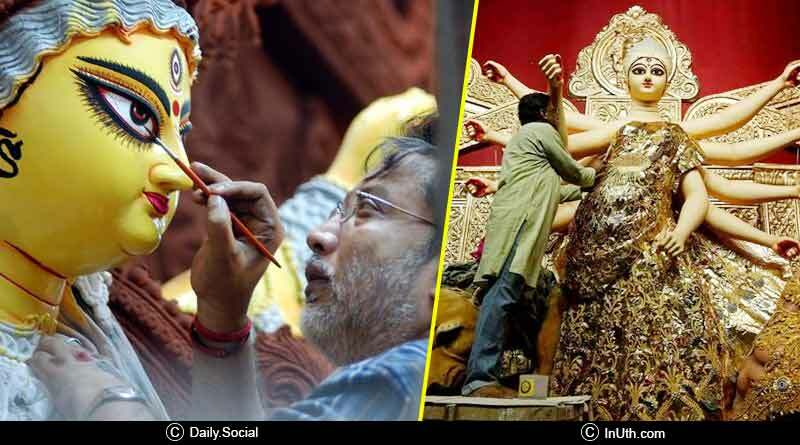 The festival of Durga Puja brings life to the city of Kolkata and is a time for celebration for all the people of Bengal. The enthusiasm is so contagious that if you witness it once, you look forward to it every year, no matter where you are you will look for a Bengali friend or family in the town. From time immemorial, this tradition has been in vogue. 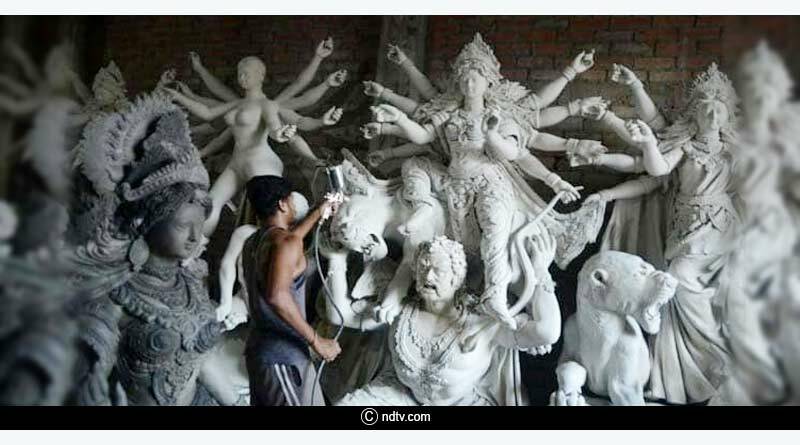 A month before the Durga Puja begins, the Priest or the idol maker is supposed to visit the brothel and ask the women there to grant them mud from outside of the place with their own hands. If she refuses, the priest is supposed to pursue her until she agrees to it and while she is handing over the mud the priest chants some mantras. This chanting is believed to purify and bless the soul of the woman offering the mud and other workers there. Another reason, that is very commonly known is that when men or clients enter the place to satiate their physical thirst, they leave their shame, purity and sense outside, making the outside of a brothel a pure place. Since in the earlier days Maa Durga fought the demon Mahishaura, the festival celebrates the feminine power. The women that work in the brothel are considered an embodiment of feminine power too. Even though they are looked down upon, through this ritual we try to mark respect to their femininity on the occasion that celebrates womanhood and the Women Goddess’. At the same time, they say that the mud that is taken from outside of brothel shall help the women free them of their sins and impurities. It shall also help them attain salvation. It is a way to bring together the otherwise left behind. Such are the ways of the world and traditions that we have been following. Since they have been in practice for so long, we must not deny following them but rather understand the logic behind and make room for them to shape according to the changing times. What we want to emphasize is the fact that let’s not only remembered the downtrodden and less fortunate ones only when occasion requires but rather include them in our day to day modern societal setup and help them improve and evolve too. 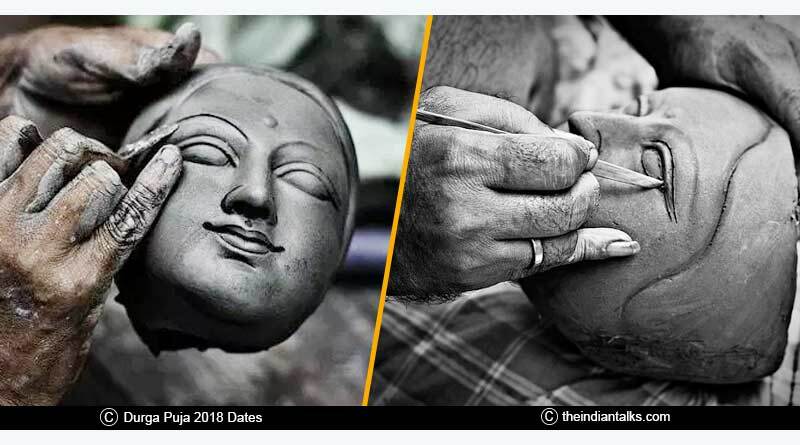 For more interesting updates like the kind of mud used to create Durga idol for Durga Puja and related details, like and subscribe to tentaran.com. Shiva Tandav Dance – Why did Lord Shiva perform tandava?